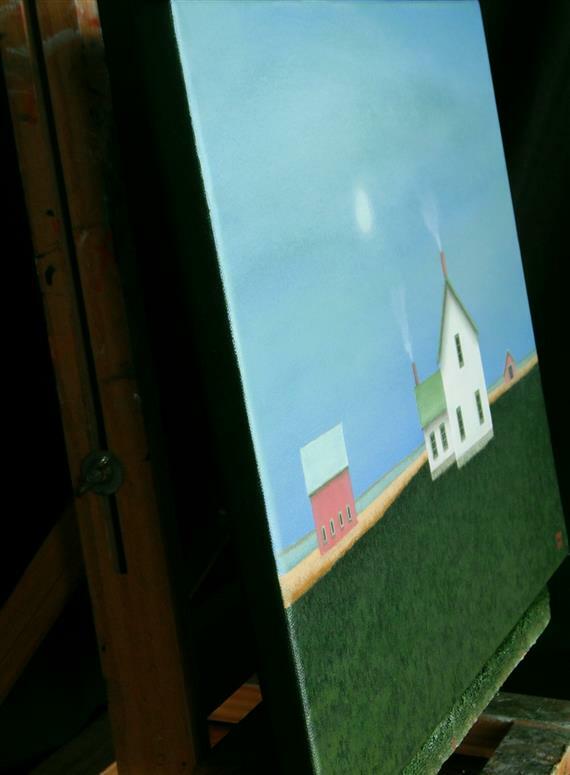 I live on an old farmstead in the Midwest where I paint quiet, country scenes from my imagination. 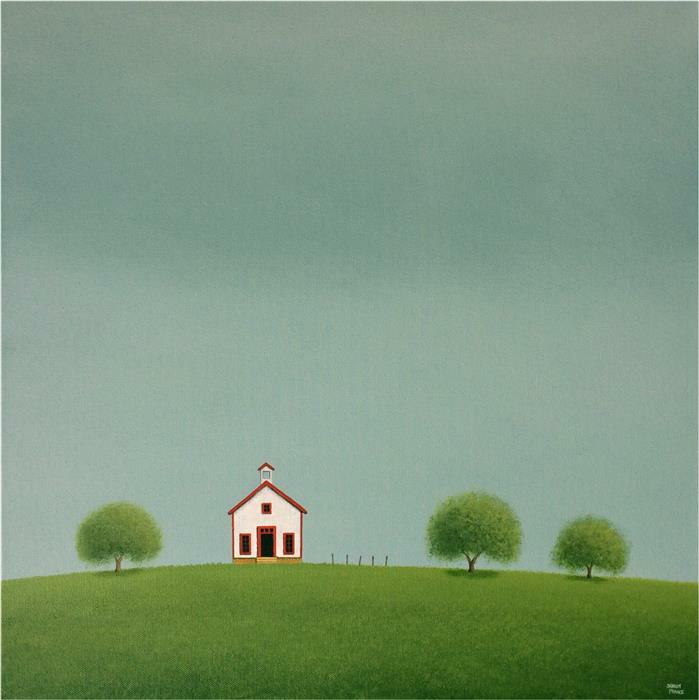 These contemporary folk art landscapes are created simply from the heart. I want to capture the feeling of peace and serenity that I love about the country. This painting was inspired from old country houses I have seen over the years on rural back roads. 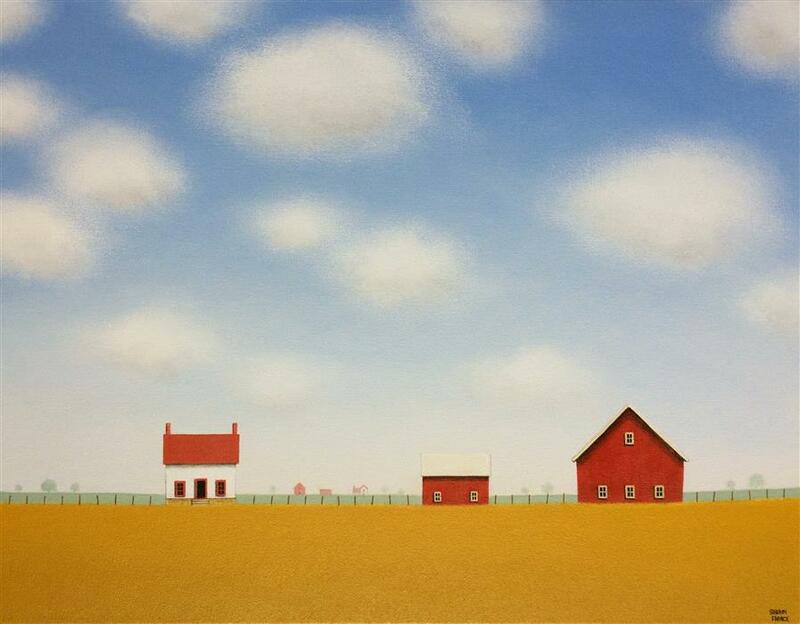 I set the house in a simple, slightly abstracted golden field with a blue sky filled with wispy clouds. This piece is on a gallery wrapped canvas and the painting continues around the sides. The work comes ready to hang. 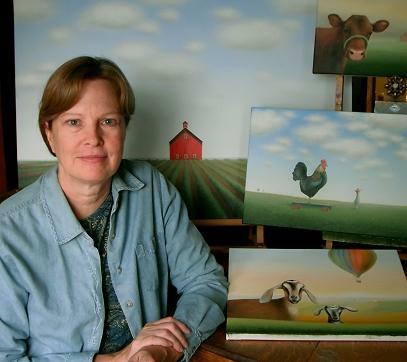 Sharon France has many fond childhood memories of visits to her grandparents’ remote Midwestern farm. 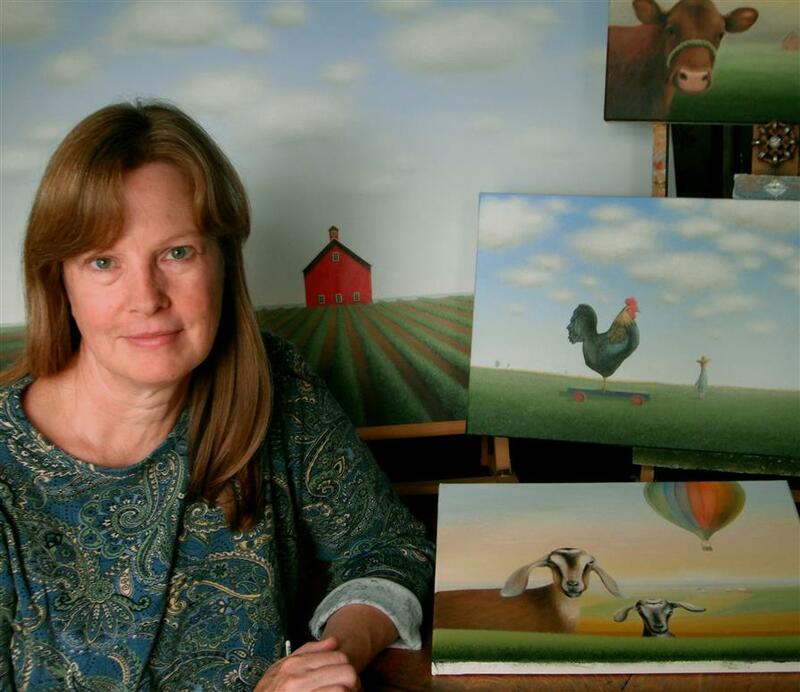 She now lives on her own farmstead with her family where she paints the beauty around her. Sharon found inspiration in the work of Hudson River School Artists, Minimalists, Tonalists and Realists. When she’s not painting, she loves to hike. She currently lives in Illinois. Thank you so much for your purchase of my original painting "On a Moonlit Night" and kind comments on my rural art work. I sincerely appreciate it! Just purchased "On a Moonlit Night" and I can't wait until it ships. 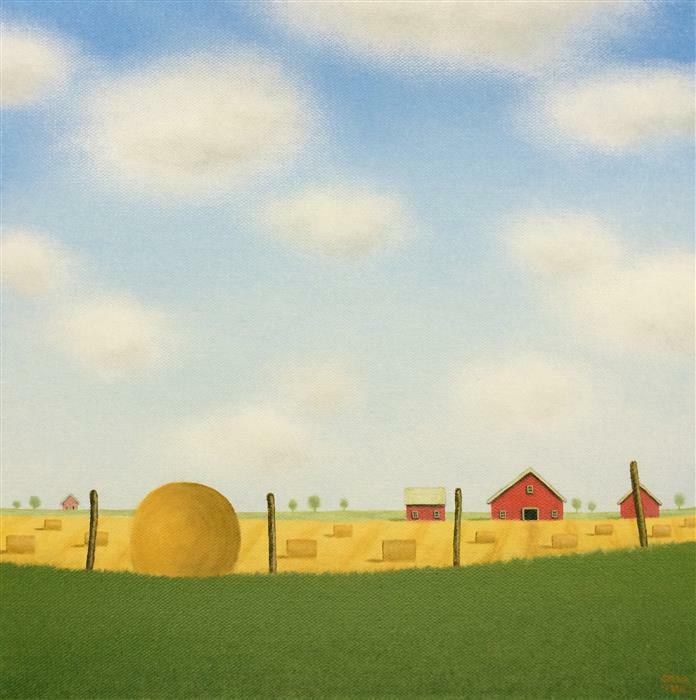 I grew up on a farm in south-central Texas, and I was looking for artwork that would pay homage to my rural childhood in a new and different way. I love the juxtaposition of rural and contemporary that you capture so beautifully in your artwork. I think it helps people to see rural settings in a new and exciting way! Just what we expected and will purchase another from Ms. France. Looks fantastic in our Saratoga home, hanging above a small walnut desk and chair. 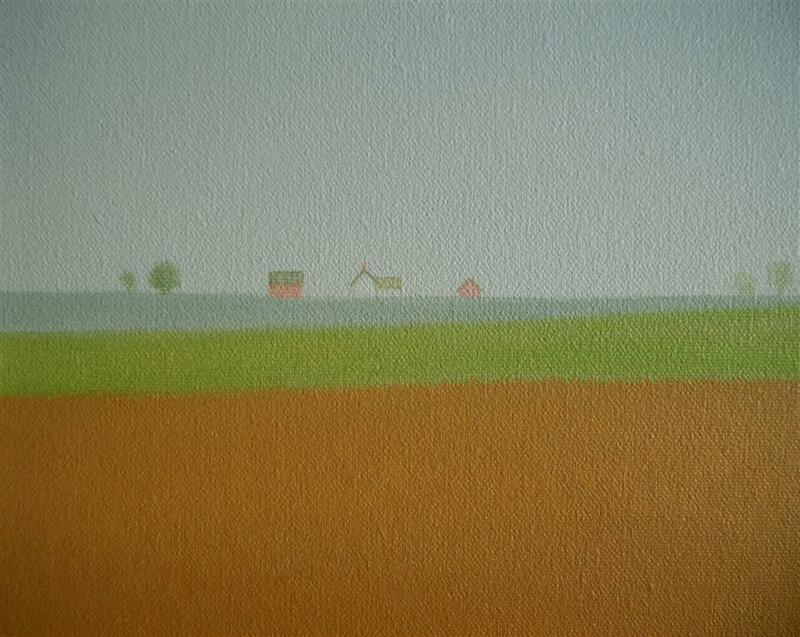 I have just finished a new summer farm landscape that I will be listing for sale during the first part of August. My newest landscape painting "Near the Quiet Stream" was inspired by the quiet streams that one can find out in the country. I really enjoy painting different types of weather and decided on a heavy, overcast feeling sky for this calm pastoral landscape painting. This is such a beautiful painting. The colors are unusual and fantastic and the composition is so intriguing. Really well done! 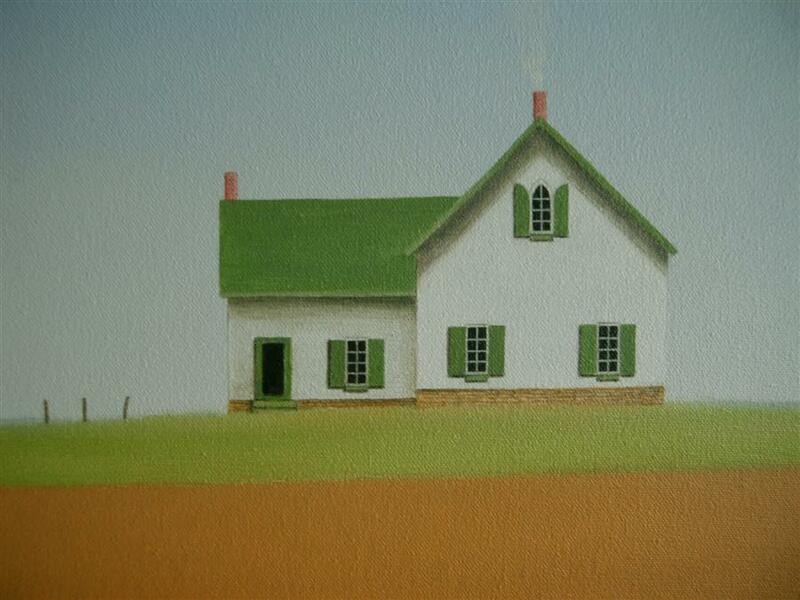 I have been working on a new series of larger paintings of old houses in my quiet, country landscape scenes. We had a huge snowy owl land on our barn roof around sunrise, a few days ago. What a fun uncommon surprise to find that morning! I have been working in both oil and acrylic paint this past year. I am presently working in acrylic on several landscapes that I have in progress right now. I normally work on several paintings at the same time, switching back and forth between them, as I want for paint to dry and take time to think about a piece before continuing on with it. Thank you so much for your kind comment on my painting! The fine detail on that cat is absolutely stunning. You have such a very unique style and then you tuck in a surprise like that. Pretty cool. You are going on my wish list. I was happy to have been juried in, as an associate member of The Society of Animal Artists, in November 2013. If you happen to be on the east coast and would like to see my work in person, one of my original paintings is currently on exhibit in Harrisonburg, VA at the Park Gables Gallery - VMRC, annual Juried Art Exhibition, until Sunday, June 30, 2013. Why do I paint the country? I have been blessed to live and paint on a quite old farmstead, surrounded by fields, for most of my life now. It all started when I was a kid growing up. We had a field in front of our house, and a field in back of our house, yet lived on a street that had other homes along it, at the edge of town. In the summer, I remember the walks through the field of corn behind our house, and the feel of the damp mud on my bare feet back then. The trips to my grandparents remote Midwestern farm, are some of my favorite childhood memories, and from as far back as I can remember, I always wanted to live in the country like them. My husband grew up on a farm, and after we married our goal was to move to out of town. Soon we did, and we have never regretted that decision. 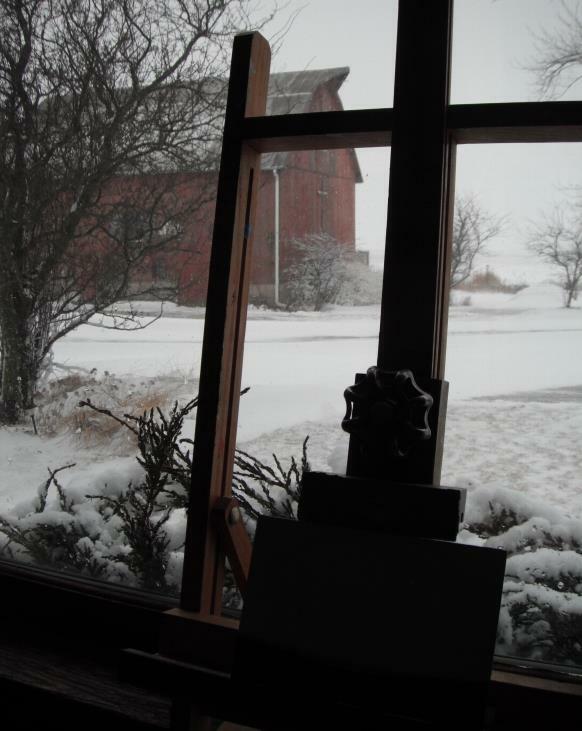 We live in old farmhouse with a red barn, which are a great inspiration for what I paint. It gives me a sense of peace and happiness to work on my quiet, country, landscape paintings. One of my paintings "Near Home" is in the Jan. 2013, juried exhibit, at the Bridgeport Arts Center Gallery, Chicago, IL. Several of my paintings are in the fall/winter 2012-13 Regional Juried Exhibition IX, at the Freeport Art Museum, Freeport, IL. I LOVE LOVE LOVE your paintings! Beautiful.